You know this thing about Whisker Haven Tales Games? A new cute category of games is now available on cute-games.com where you will meet a magical world with magical pets and adventures and they`re name is Whisker Haven Tales games. Whisker Haven Tales is a TV series which is broadcast on Disney Junior and the story of the serial is that all the royal pets united together and they travel to a magical world named Whisker Haven. In Whisker Haven Tales Games you can find 22 games that we've published for these kids and childrens that are interested to play Whisker Haven Tales Games, this game gategory have been created on 09.11.2015. These games with Whisker Haven Tales Games have been voted 1 times and the avarage of vote is 5.00 stars. 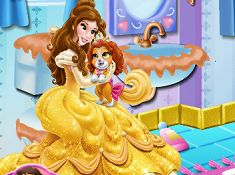 We advice you to play the last flash game from Whisker Haven Tales Games, Princess Pet Beauty Salon that have been published on 26.02.2017 17:03. 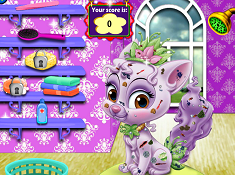 Princess Pet Beauty Salon its a part of Whisker Haven Tales Games category and until now its played 2993 times. Try it now on Cute-Games.com! 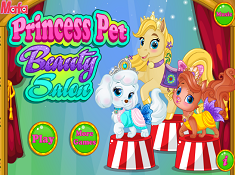 If your like the Princess Pet Beauty Salon game you can write a comment in the game page. Recommend this game to your friends if you like it! Disney Palace Pets Maker its a part of Whisker Haven Tales Games category and until now its played 3215 times. Try it now on Cute-Games.com! 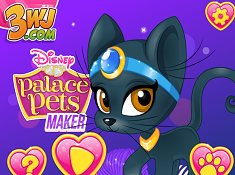 If your like the Disney Palace Pets Maker game you can write a comment in the game page. Recommend this game to your friends if you like it! 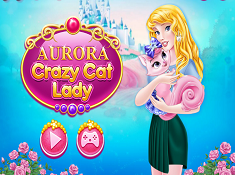 Aurora Crazy Cat Lady its a part of Sleeping Beauty Games category and until now its played 2523 times. Try it now on Cute-Games.com! If your like the Aurora Crazy Cat Lady game you can write a comment in the game page. Recommend this game to your friends if you like it! 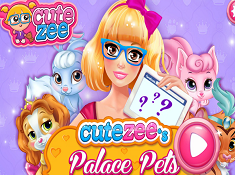 Palace Pets Quiz its a part of Whisker Haven Tales Games category and until now its played 2337 times. Try it now on Cute-Games.com! 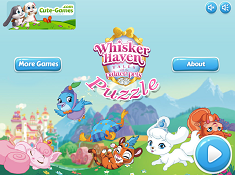 Whisker Haven Tales Puzzle its a part of Whisker Haven Tales Games category and until now its played 5441 times. Try it now on Cute-Games.com! If your like the Whisker Haven Tales Puzzle game you can write a comment in the game page. Recommend this game to your friends if you like it! Palace Pets Pool Party its a part of Whisker Haven Tales Games category and until now its played 3205 times. Try it now on Cute-Games.com! If your like the Palace Pets Pool Party game you can write a comment in the game page. Recommend this game to your friends if you like it! Palace Pets Matching its a part of Whisker Haven Tales Games category and until now its played 1999 times. Try it now on Cute-Games.com! 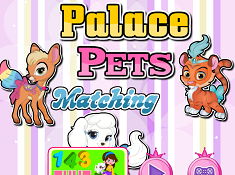 If your like the Palace Pets Matching game you can write a comment in the game page. Recommend this game to your friends if you like it! Palace Pets Birthday Cake its a part of Whisker Haven Tales Games category and until now its played 2218 times. Try it now on Cute-Games.com! 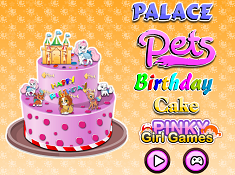 If your like the Palace Pets Birthday Cake game you can write a comment in the game page. Recommend this game to your friends if you like it! Princess Doing Yoga With Pets its a part of Princess Games category and until now its played 2460 times. Try it now on Cute-Games.com! If your like the Princess Doing Yoga With Pets game you can write a comment in the game page. Recommend this game to your friends if you like it! Tiana Lily Palace Pets its a part of Princess Games category and until now its played 2226 times. Try it now on Cute-Games.com! If your like the Tiana Lily Palace Pets game you can write a comment in the game page. Recommend this game to your friends if you like it! Rapunzel Palace Pets its a part of Rapunzel Games category and until now its played 2141 times. Try it now on Cute-Games.com! If your like the Rapunzel Palace Pets game you can write a comment in the game page. Recommend this game to your friends if you like it! 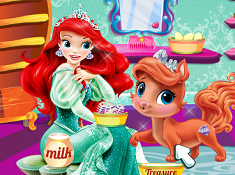 Disney Princess Palace Pets its a part of Whisker Haven Tales Games category and until now its played 3828 times. Try it now on Cute-Games.com! 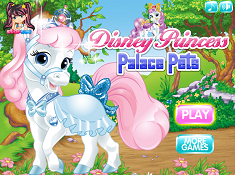 If your like the Disney Princess Palace Pets game you can write a comment in the game page. Recommend this game to your friends if you like it! Cinderella and Muffin its a part of Cinderella Games category and until now its played 2221 times. Try it now on Cute-Games.com! If your like the Cinderella and Muffin game you can write a comment in the game page. Recommend this game to your friends if you like it! 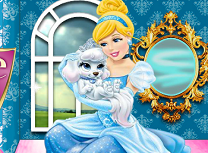 Cinderella Palace Pet Caring its a part of Cinderella Games category and until now its played 1699 times. Try it now on Cute-Games.com! 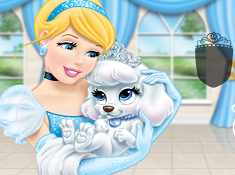 If your like the Cinderella Palace Pet Caring game you can write a comment in the game page. Recommend this game to your friends if you like it! 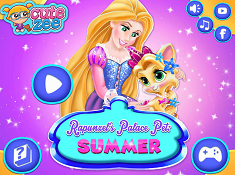 Rapunzel Palace Pet Summer its a part of Rapunzel Games category and until now its played 2257 times. Try it now on Cute-Games.com! If your like the Rapunzel Palace Pet Summer game you can write a comment in the game page. Recommend this game to your friends if you like it! 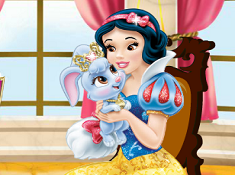 Snow White Palace Pets its a part of Snow White Games category and until now its played 1556 times. Try it now on Cute-Games.com! If your like the Snow White Palace Pets game you can write a comment in the game page. Recommend this game to your friends if you like it! Palace Pets Bathroom Cleaning its a part of Beauty and The Beast Games category and until now its played 1495 times. Try it now on Cute-Games.com! If your like the Palace Pets Bathroom Cleaning game you can write a comment in the game page. Recommend this game to your friends if you like it! 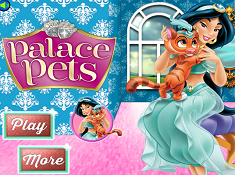 Jasmine Palace Pets its a part of Jasmine Games category and until now its played 1474 times. Try it now on Cute-Games.com! If your like the Jasmine Palace Pets game you can write a comment in the game page. Recommend this game to your friends if you like it! Baby Barbie My Palace Pets its a part of Barbie Games category and until now its played 1820 times. Try it now on Cute-Games.com! 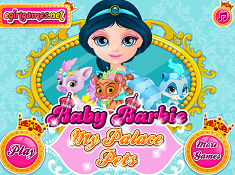 If your like the Baby Barbie My Palace Pets game you can write a comment in the game page. Recommend this game to your friends if you like it! Cinderella Palace Pets its a part of Cinderella Games category and until now its played 1637 times. Try it now on Cute-Games.com! 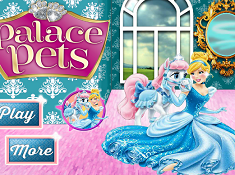 If your like the Cinderella Palace Pets game you can write a comment in the game page. Recommend this game to your friends if you like it! Palace Pets Playdate its a part of Whisker Haven Tales Games category and until now its played 2795 times. Try it now on Cute-Games.com! 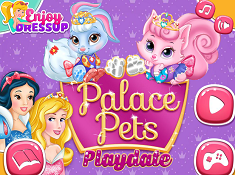 If your like the Palace Pets Playdate game you can write a comment in the game page. Recommend this game to your friends if you like it! Ariel Palace Pets its a part of Ariel Games category and until now its played 1758 times. Try it now on Cute-Games.com! If your like the Ariel Palace Pets game you can write a comment in the game page. Recommend this game to your friends if you like it! Find More About Whisker Haven Tales Games! The series is produced by Shea Fontana and lasts only three minutes in which these cute pets are doing funny stuffs which makes you laugh a lot. Whisker Haven Tales is at the beginning having just one season with ten episodes but the producers want to do more because the pets are very sweet and fun and they have a lot of success because the children loves them. The characters of the show are Berry, Bibbidy, Blondie, Dreamy, Lily, Ms. Featherbon, Petite, Pumpkin, Teacup, Treasure and Sultan and with all of them you will meet on our site playing our Whisker Haven Tales games. Berry is a little rabbit which was found by Snow white in the forest standing hidden under a blueberry and in that moment Snow White discovered her fondness for food. Blondie is a guard horse which is very pretty and only if she is a girl she is very brave and trustworthy. Another character is Bibbidy, one of Cinderella`s pony which is the most helpful and she adores doing chores. Then we meet Dreamy a kitty which love sleeping and since Aurora found her she never let go to Aurora and you will see her sometimes cuddled up with Aurora. Lily is another cute kitty which adores dressing up because she loves fashion and also she loves Jazz music. Ms. Featherbon is a hummingbird fairy which is also the leader of Whisker Haven because she is the one who lead the team in every adventure. Petite, another royal horse very brave, adventurous but she doesn`t have an easy-going temperament. Pumpkin is a cute little dog which was an anniversary present to Cinderella from the prince and this little cute pet loves to dance and to attend royal balls. Other interesting character is Teacup which loves shopping accessories and in each occasion she chooses one which has to match with the event. Treasure is Ariel`s kitty and she loves the water because of her owner and she is also very curious. The last character is Sultan, a small tiger which was found by Jasmine and only if he is small and cute he can be also very brave. These cute animals will be your host in these magical new Whisker Haven Tales games that our site just published and we hope that you will enjoy a lot these games. You will meet all of them in different poses because we have Whisker Haven Tales dress up games, make up games, Whisker Haven Tales for boys games, Whisker Haven Tales for girls games and also we have Whisker Haven Tales for babies. In every game you will go through magical adventures because you will have to take care of them in games like caring, where you will have to wash them, to food them, to go with them to the doctor and play with them like with your own pet. Other thing that you will have to do will be to dress up them in fashionable clothes like they are regular at the palace and arrange them for proms, parties are just for fun because they loves being handsome. In other games you will have to make puzzles or to coloring photos and pictures with all these pets in which they will do something like being at a picnic, at the prom or playing with they`re owner. Also, boys can play these games because there will be adventures and a lot of hard situation from where they can`t get out alone so you will have to help them and watching them don`t get hurt. Imagine in all of these games that they are your pets and you have to take care of them and playing with them because they are like babies, they need your love, your help and your attention. Cute-games.com hopes that you will love our new Whisker Haven Tales games and also you will love these magical and beautiful characters and if you want other Whisker Haven Tales games you can tell us and we will publish any game that you want.